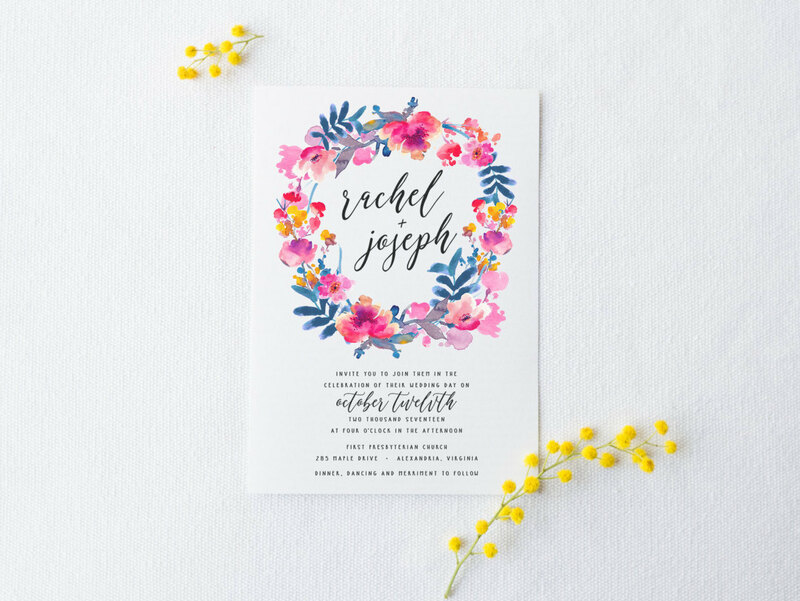 Printable Wedding Invitation Collection by Splash of Silver + a Giveaway! 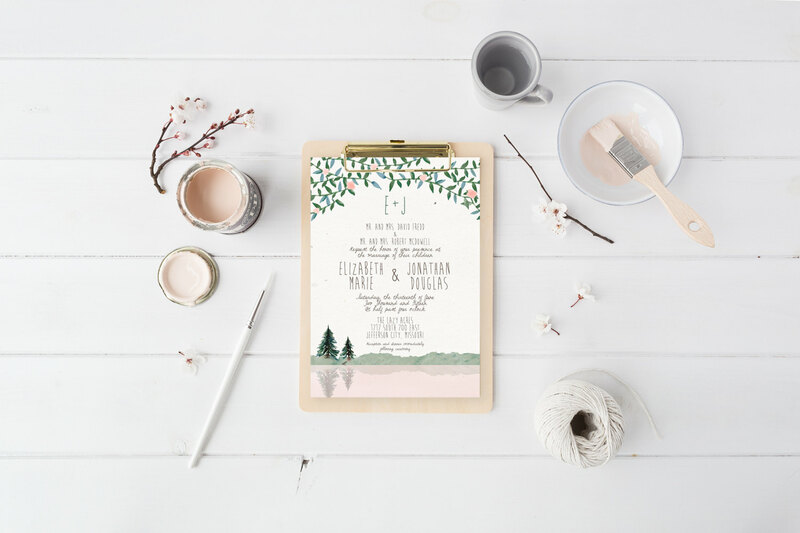 Home | Giveaway: Win FREE Wedding Invitations! Good morning, lovelies! Monday already… how did that happen? We were hit by the giant snowstorm and have about 7 inches of snow at the moment. It sure looks beautiful outdoors (and you bet the hot cocoa is tasting pretty good indoors!) We’re kicking off this brand new week with a wedding giveaway from the lovely Splash of Silver! 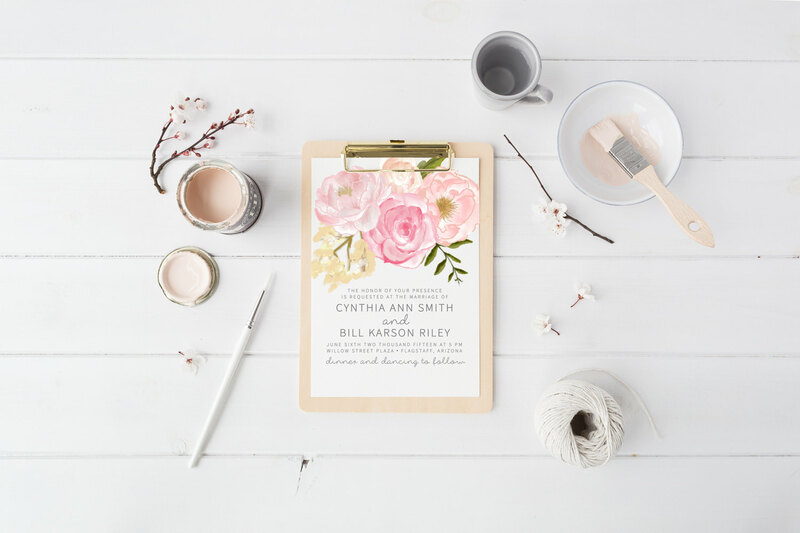 You know how much we love their work (I mean, just look at their shop) and now you could win a (custom) printable wedding invitation of your own! Read on for the details! 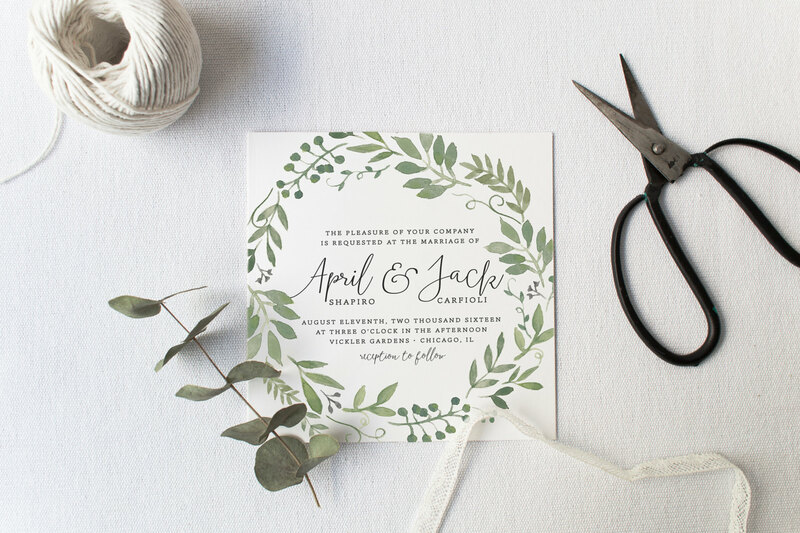 While Splash of Silver offers invitations in printed form, too, this digital printable wedding invitation is specifically designed for the bride who wants to dabble in a little DIY and print them herself. Alternatively, you can have the file printed from a local print shop. 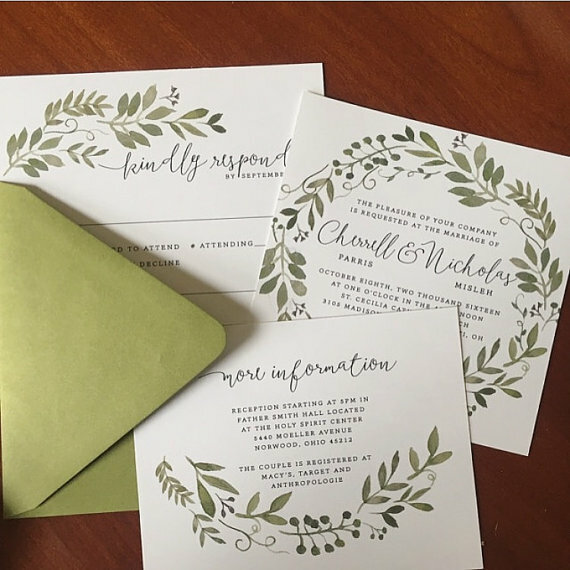 Printable wedding invitations save time and money: it costs less to print invitations yourself and printable files are designed and sent to you via email very quickly, typically within a day or two. 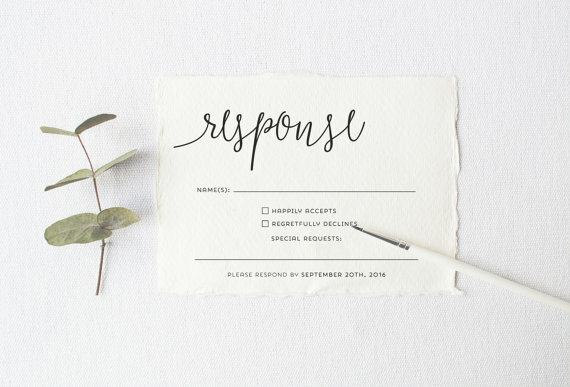 We’ve picked out a few of our favorite digital wedding invites from their shop to inspire you. 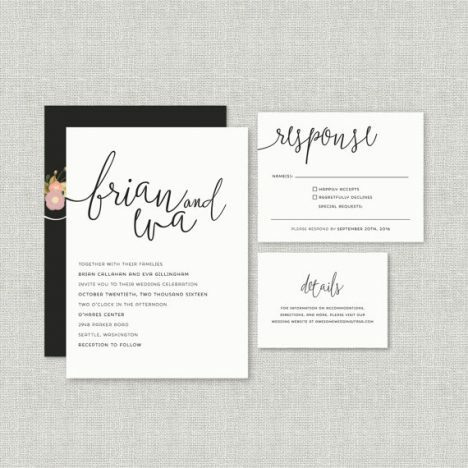 Which design would work well with your wedding theme? Which of these suites is your favorite? I love #4 — I love mountain themed weddings! 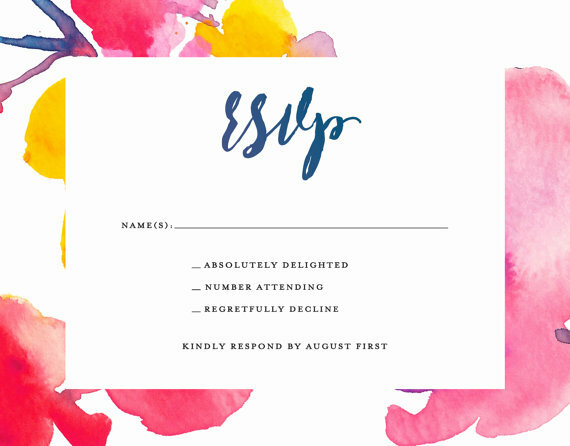 Now it’s time to enter for a chance to win a custom printable wedding invitation of your own! The prize is a digital file which means it will be personalized for you and delivered via a downloadable file. Winner can choose ANY design she likes best from the shop — there are almost 40 to chose from, many more than just shown above! 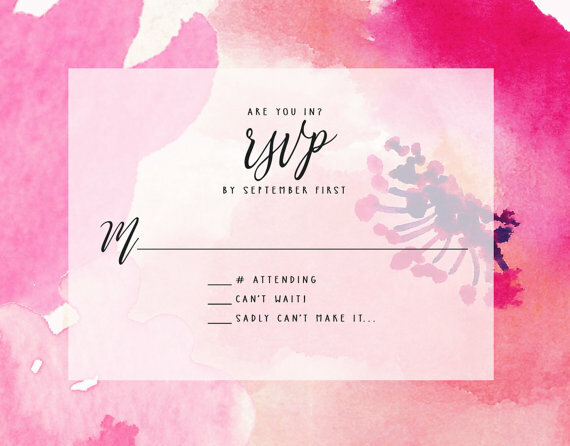 Note: There is no printed invitations being mailed to you (printing is done yourself). 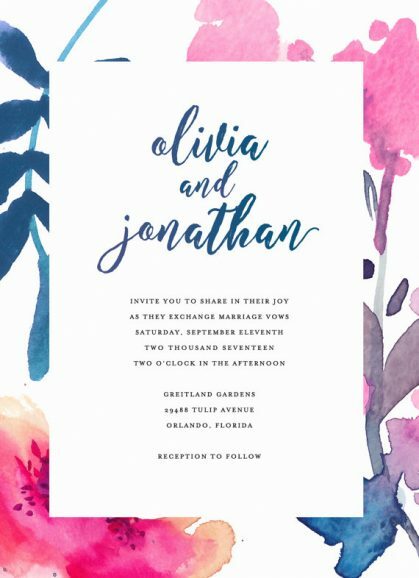 Prize: A printable wedding invitation digital suite of the winner’s choice by Splash of Silver! 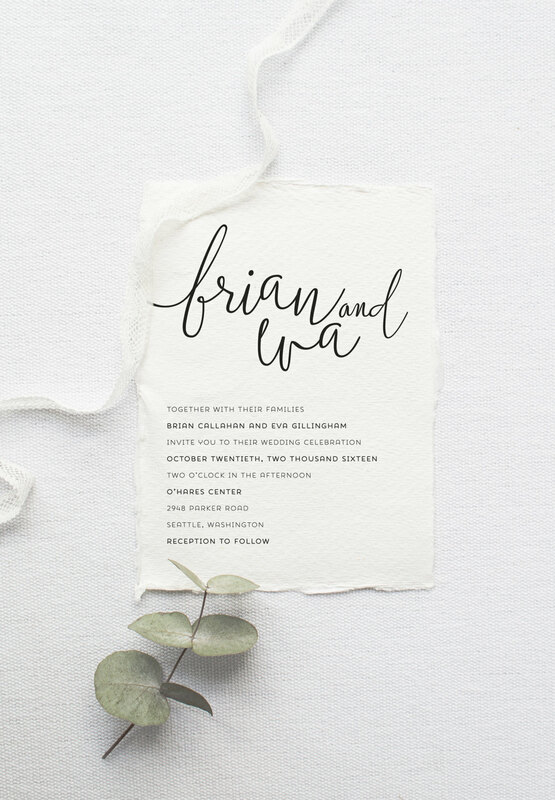 | About the prize: “Our digital suite option is PERFECT for brides who would rather cut costs by going the DIY route and print their invitations at home or locally! 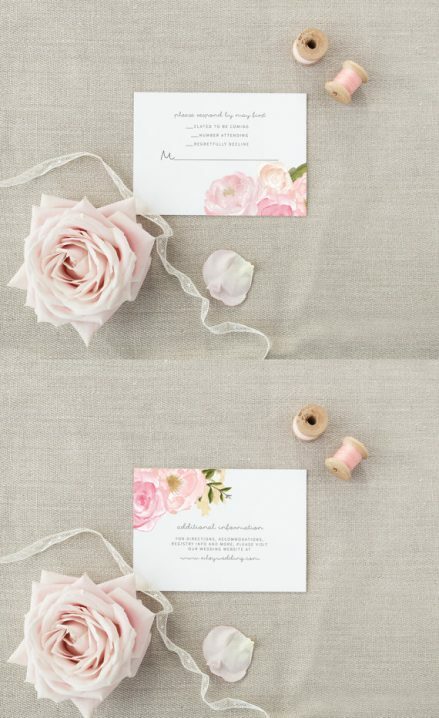 You simply give us your wedding details for each piece, and we do the rest. We are giving away a 3-piece digital suite (of their choice) to the lucky winner – and we have almost 40 to choose from! I love the modern watercolor suite! Perfect for my boho chic wedding in Maui! 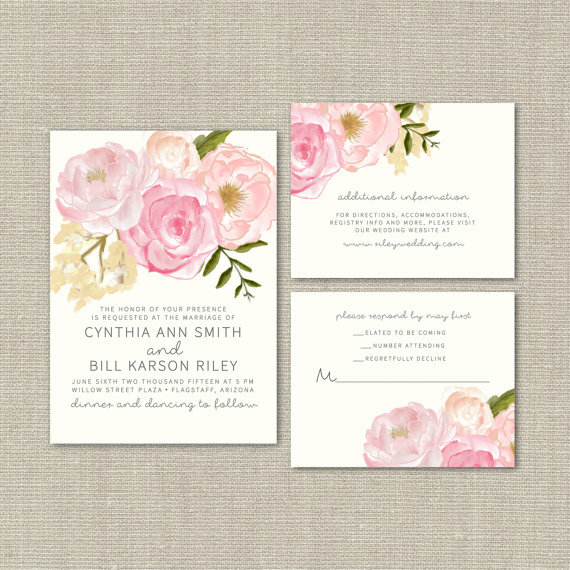 I love the Romantic Garden Wedding Invitation (Wedding Design #75). All her designs are so beautiful! 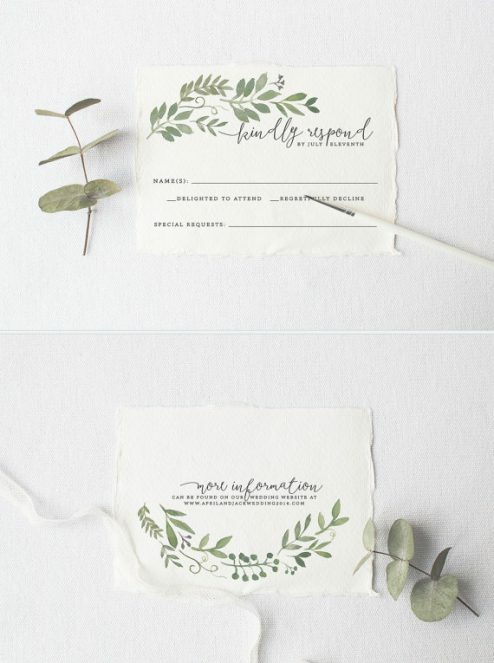 I love the organic wedding invitation suite! It goes perfectly with the theme of our wedding! I love modern calligraphy and garden! They are both beautiful! 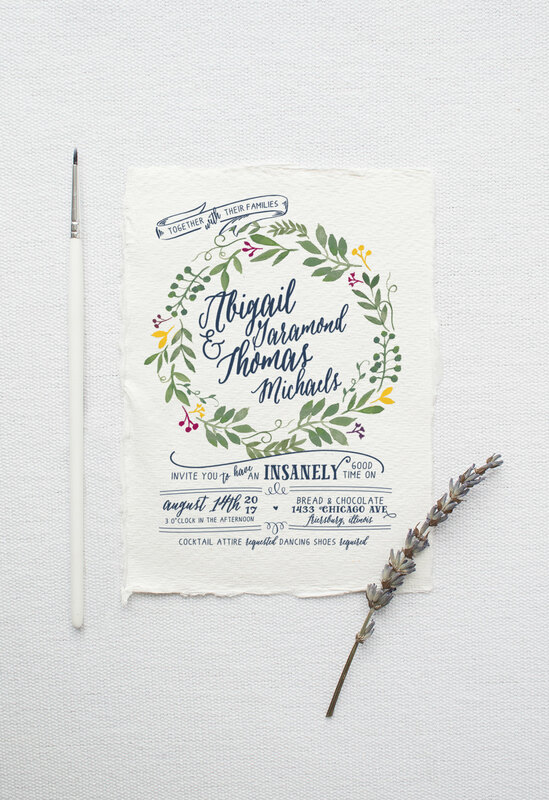 The calligraphy wedding invitation would be perfect for my New Years theme. Stylish, simple, say hello to new year. I love the Calligraphy Wedding Invitation Set. It’s simple and clean! These are gorgeous! 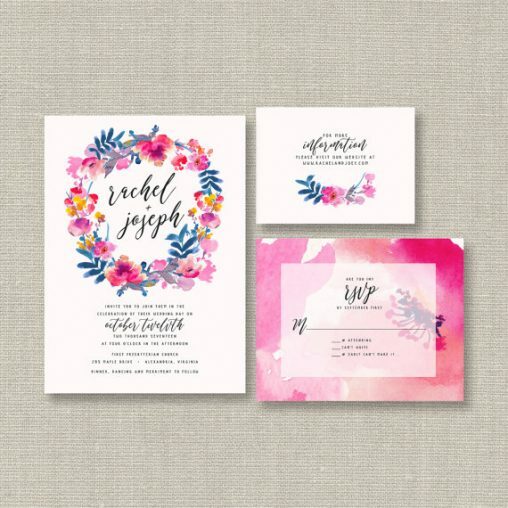 I love the boho chic invite set! I love the mountain wedding invites! We are getting married up in the trees of Northern CA next fall, and these would be perfect for our rustic theme. I love her work. It’s gorgeous! 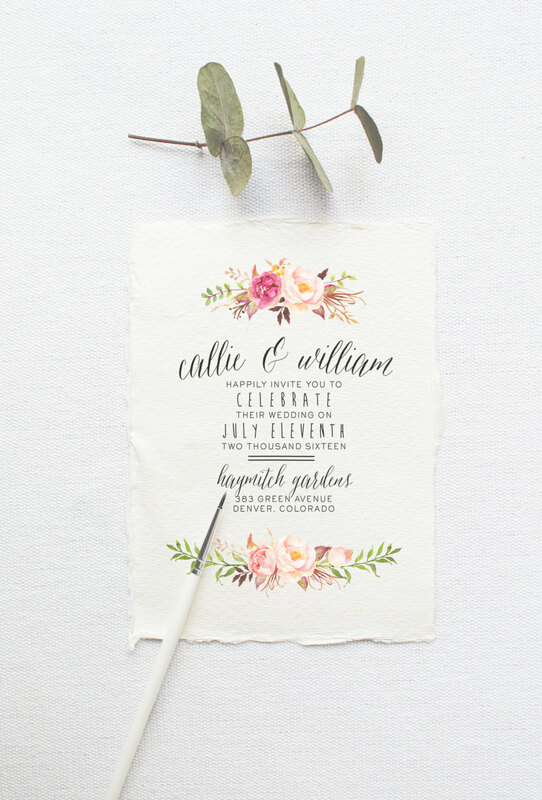 Love the Watercolor Calligraphy Wedding Invitation! 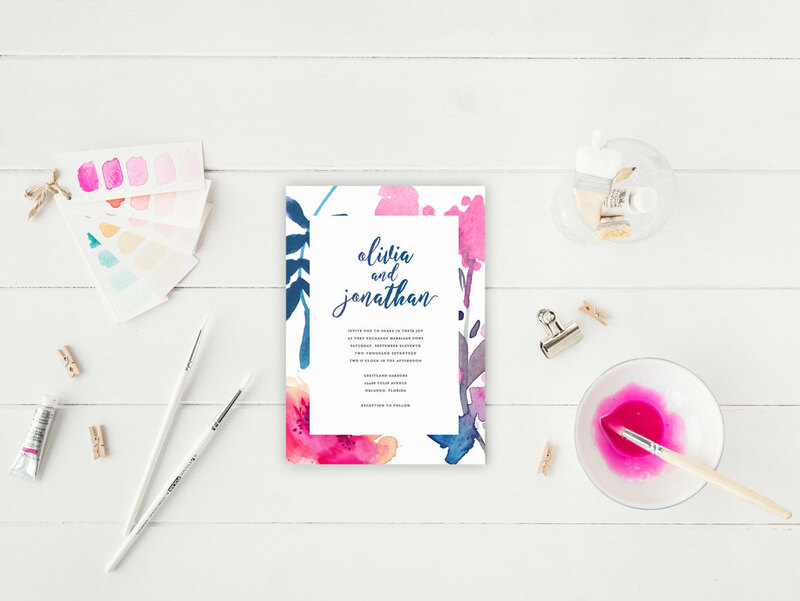 The Watercolor Boho wedding invitation is soooo pretty! Love! If I won I would for sure pick the “I Do, Me Too!” Invites on the brown paper, super cute and playful! I would pick the leaves! We are having a wedding at a vineyard and it goes with our outdoors and the trees in the background! !